Don’t pass up the best pre-event promotions you can find in the Lone Star State! 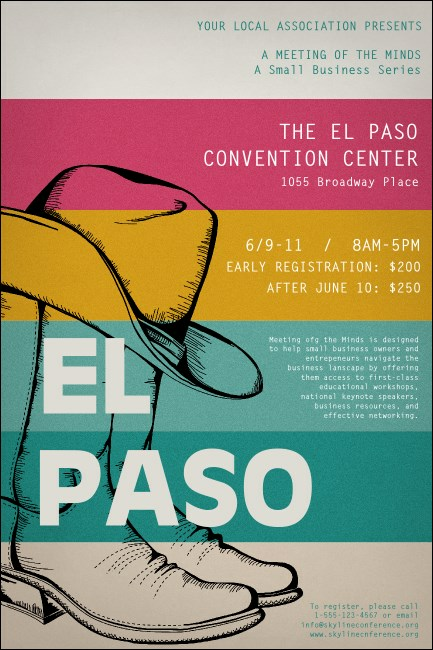 Print El Paso Posters and advertise your next event in El Chuco with some authentic West Texas spirit. Let the light shine on your event in Sun City with Posters that feature a real pair of cowboy boots with a ten-gallon hat. TicketPrinting.com helps you give bad advertising the boot!